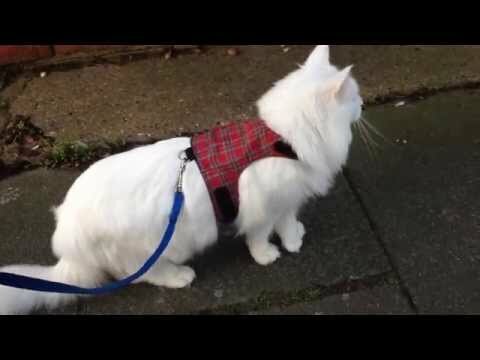 There are 10 cat videos tagged with white-cat. Cats are always doing crazy things. Cramming themselves into tiny glass jars, hiding behind blinds, and jumping around in piles of boxes, we’ve always known they love doing strange things. But this video most definitely takes the cake for strange cats doing strange things. 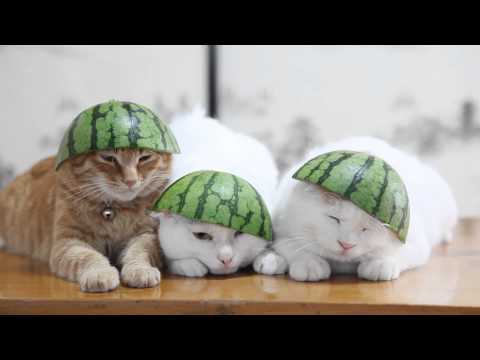 These three cats sit with little to no reaction to these watermelon rinds on their heads and sleep like it’s just another day! 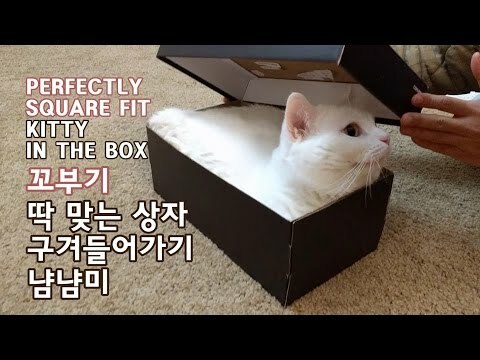 One of our favorite Internet cats, an adorable white Munchkin cat fits just so perfectly in a shoe box. Just like it was made for him! 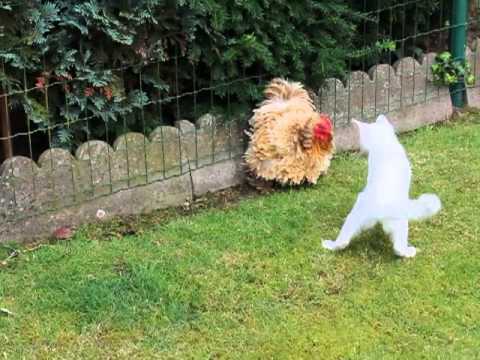 An unbelievably fluffy chicken (a Frizzle chicken) plays with a cute white kitten. The chicken, named Mora, is very patient with the cat (Dash) and doesn't seem to mind the playing very much. 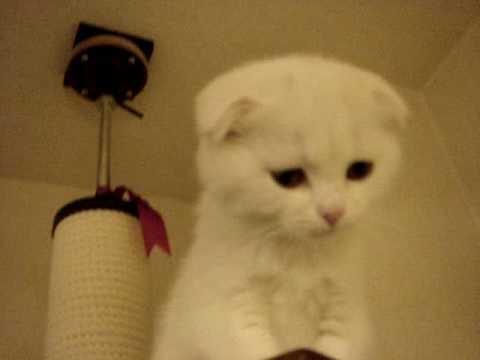 Stuck up high and unable to get down on its own, this adorable Scottish Fold kitten lets its human know how unhappy it is. The kitten has the cutest little squeaky meow which we're sure turned into a purr once it got back safely to the ground. A funny polydactyl cat acts more like a bored student than a cat when she gets her paws on a mechanical pencil. Polydactyl cats have extra toes on one or more of their paws and are commonly known as "Hemingway Cats" because Ernest Hemingway was a big fan and owned many. It's extremely difficult to leave for work when you have an adorable cat that just wants to hang out with you. Goboogi's owner had this problem. Gobee is an adorable all white cat with one blue and one green eye (known as an "odd-eyed cat"). What makes him even more adorable is that he's a Munchkin cat which means he has short legs!